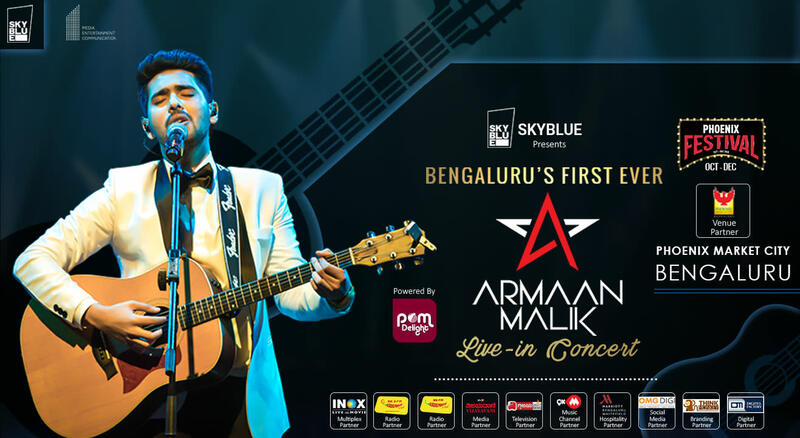 Armaan Malik is an Indian playback singer and actor. Starting off as a finalist on Sa Re Ga Ma Pa L'il Champs, he swiftly moved on to sing for the soundtracks of movies such as Bhoothnath, Chillar Party, Ungli, Ghayal: Once Again, 2.0 and 102 Not Out, working with some of the most acclaimed music directors in India: A.R. Rahman, Ilaiyaraaja, Amit Trivedi, Salim-Sulaiman, Vishal-Shekhar, Shankar-Ehsaan-Loy and Amaal Mallik. Apart from Hindi, he has also sung in Telugu, Kannada, Tamil, Gujarati, Marathi, Bengali, Urdu and Malayalam. In a short time, he has been both popularly and critically acclaimed - picking up awards such as Best Debutant Award - Film and Jagjit Singh Award - Best Music Debut	(Global Indian Music Academy Awards, 2015), RD Burman Award (Filmfare 2016), Most Popular Singer Of the Year (Dadasaheb Phalke Film Foundation Award, 2016), Best Male Playback Singer (Lions Gold Awards 2016 & 2017), Indie Pop Song of the Year (Mirchi Music Awards 2016), Best Male Playback Singer – Kannada (Filmfare Awards South, 2018) and nominated for several others. At 23, he is considered one of India's youngest singing sensations. Indeed, he has performed at some of the world's most prestigious arenas, including SSE Arena Wembley at London, The Fillmore in San Francisco & City National Civic in San Jose. His latests tracks, ‘Tumhe Apna Banane Ka’ & ‘Wajah Tum Ho’ from the movie Hate Story 3 have become extremely popular among his legions of fans, who he fondly addresses as Armaanians, and frequently interacts with on social media. His first appearance as an actor was in the film Kachcha Limboo in the year 2011. Watch him live in Banglore on October 6, for what promises to be a memorable concert for Bollywood and pop fans.